← Tipi Village… No More? Isn’t it always the case that a crisis brings new opportunities? It is my moto in life: when one door closes start looking for other doors that will certainly open. This common place truth could serve to explain the process that brought to us the One Moto show. 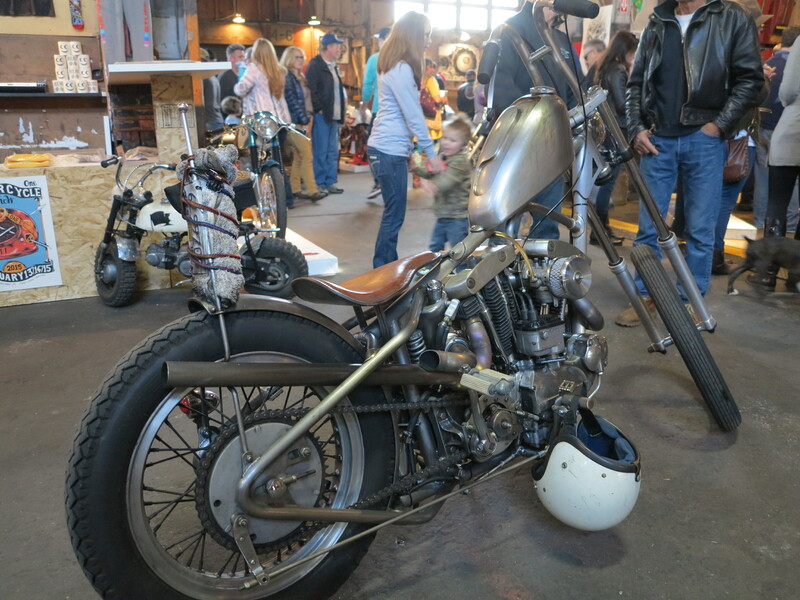 February 2015 was the sixth edition of the One Moto Show and it was the first time I had a chance to be there and experience the show for myself. The founders of this show explain it in the context of the last economic crisis. While the crisis happened people who could not necessarily afford a new motorcycle got a hold of old bikes that were increasingly becoming available. 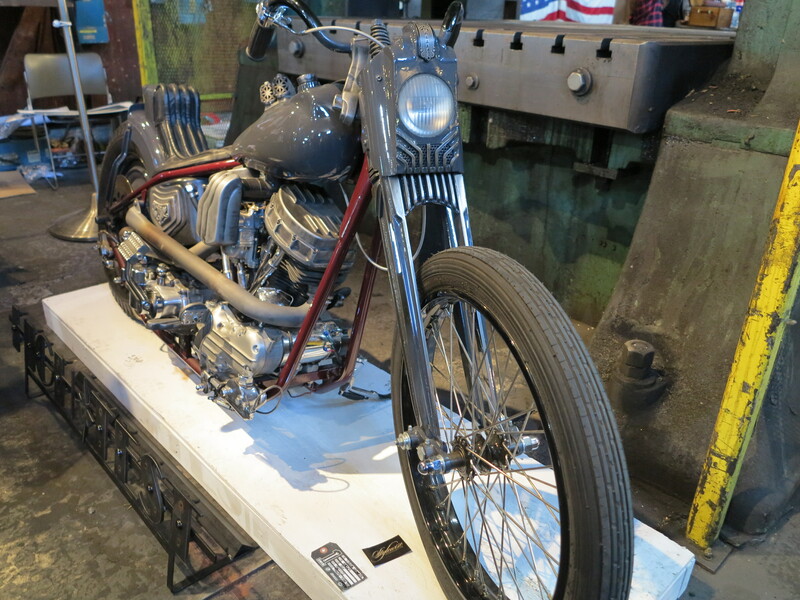 Bringing these motorcycles back to riding condition became a popular activity and more than that, it became a new culture when people started to purposefully look for old motorcycles as a canvas for their creations. 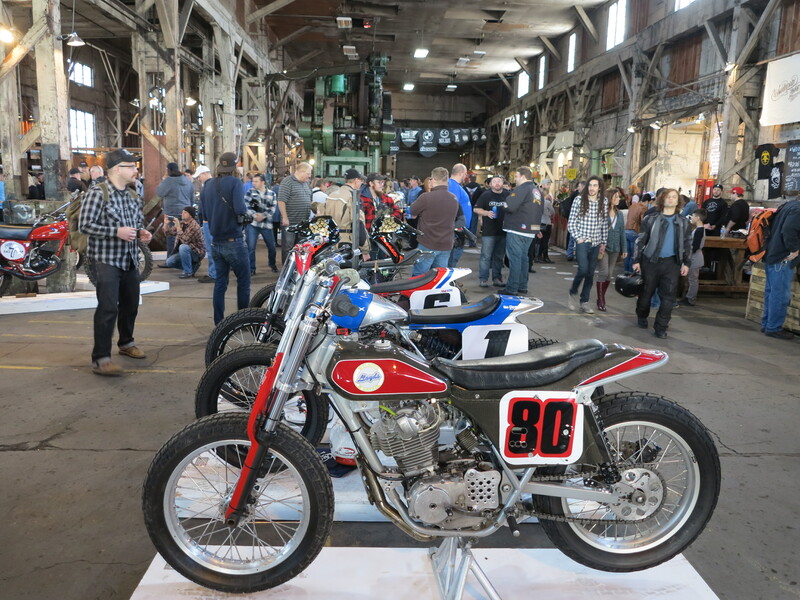 It was an opportunity born out of a crisis and it has been documented by the One Moto Show. We started picking up bikes for free and on the cheap. We pulled off the stuff that was unnecessary, put a little money into getting the cycles a bit more safe to ride, and rode the crap out of ‘em until we needed to rebuild. In the process we found the places where we could score parts, met people who could help us, and learned. 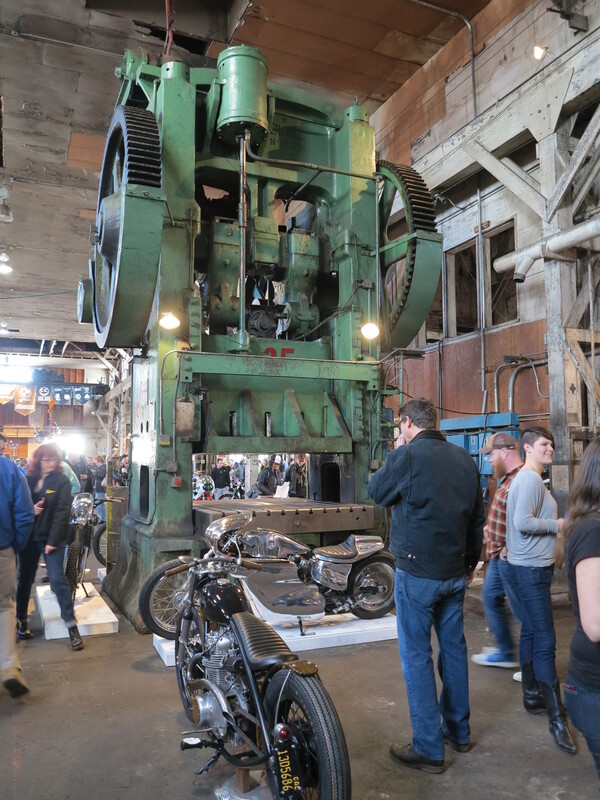 Making something cool out of old motorcycles is not a new idea. What made this movement interesting and perhaps new was how widespread it became during this last ten years or so. 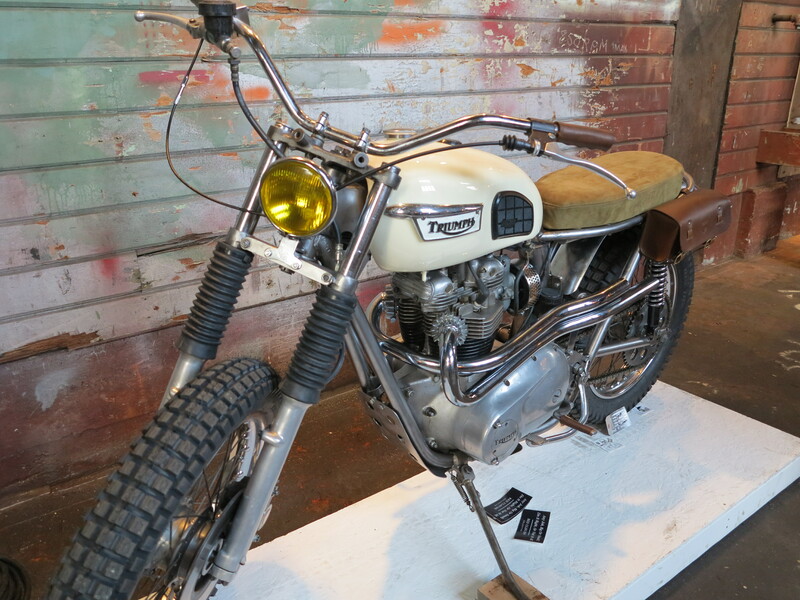 It is great that guys such as the ones behind the One Moto Show have stepped in and made an event out of this movement – it allows us, the public at large, to appreciate what can be done using an old motorcycle as a starting point. I quickly began to notice that there was a growing number of people who loved this subculture of motorcycling. This was when I decided to host the first gathering of what we would deem The One Motorcycle Show. The idea that a bike meant more to someone through experiences and stories. The notion that a motorcycle was built, restored, constructed, invented, or modified for particular reasons, using the means at their disposal. 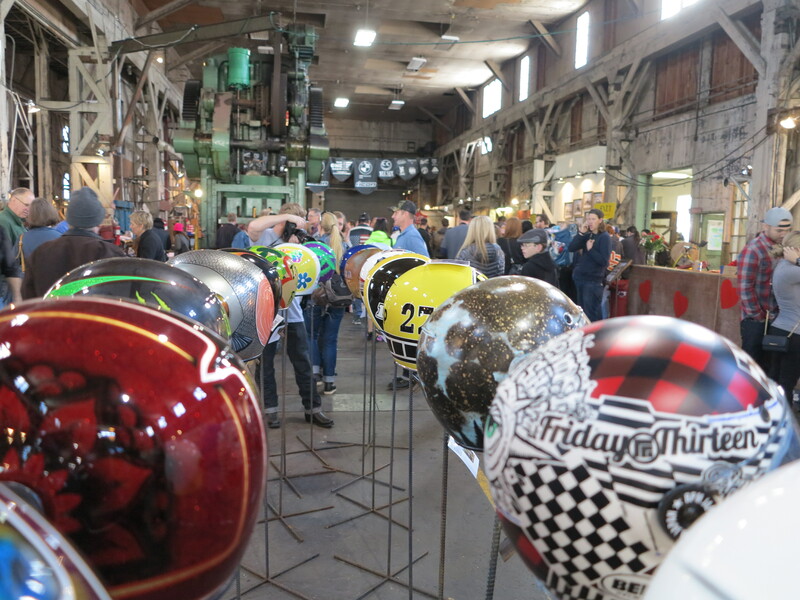 I had heard about this event in years past from the local news, other bloggers, and from my riding friends, one of them in particular who has exhibited a couple of his motorcycles in this show a few years back. I was not disappointed for making the trip. It was a beautiful and sunny day instead of the usual rainy days typical of our winters here in the Pacific Northwest, making the Saturday I was there a popular day to attend the show with long lines of people waiting to get in the building. Despite a growing level of importance this show has been gathering, resulting on an increasing number of visitors and exhibitors every year, it has remained a free enterprise for visitors and exhibitors alike. 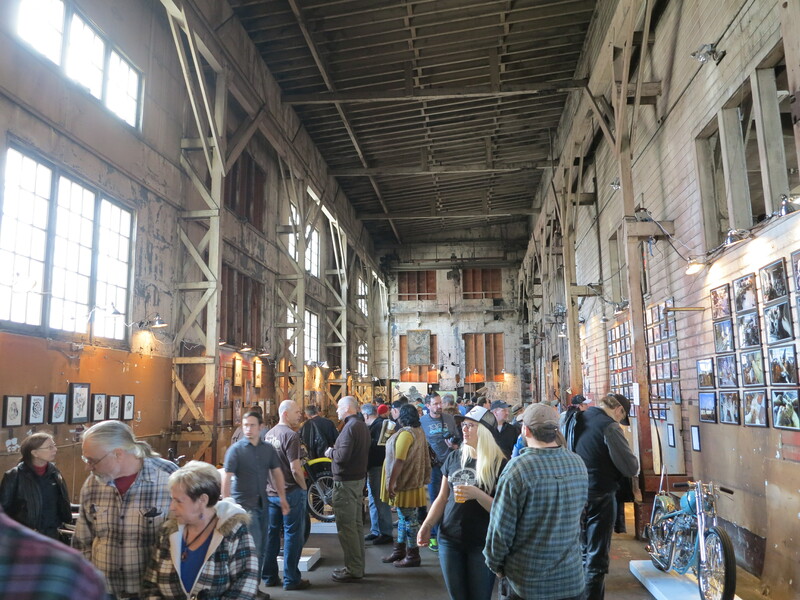 The show has also been outgrowing buildings year after year and the 2015 edition was on yet a larger building than the previous year, I was told. 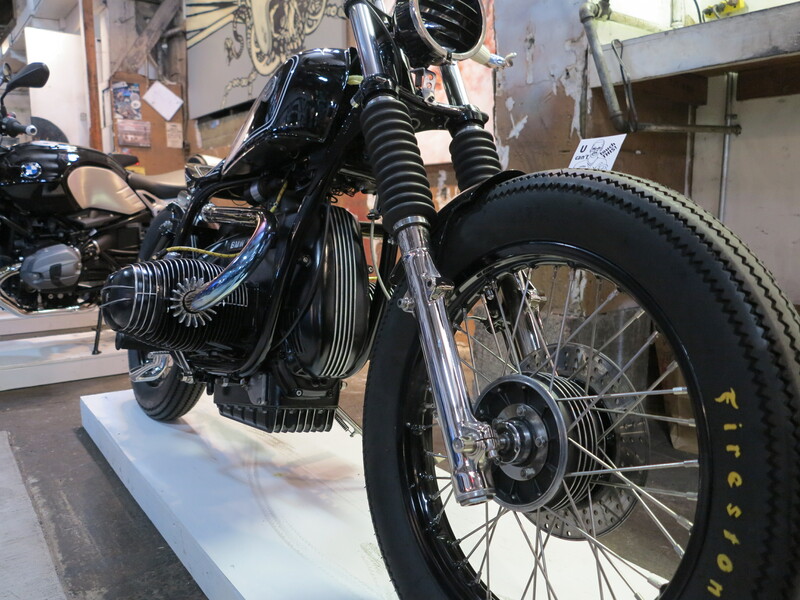 Similar to what these riders, or should I call them artists, have done to their old motorcycles, bringing them back to life under a new light, the building used for the 2015 One Moto Show was also re-purposed. 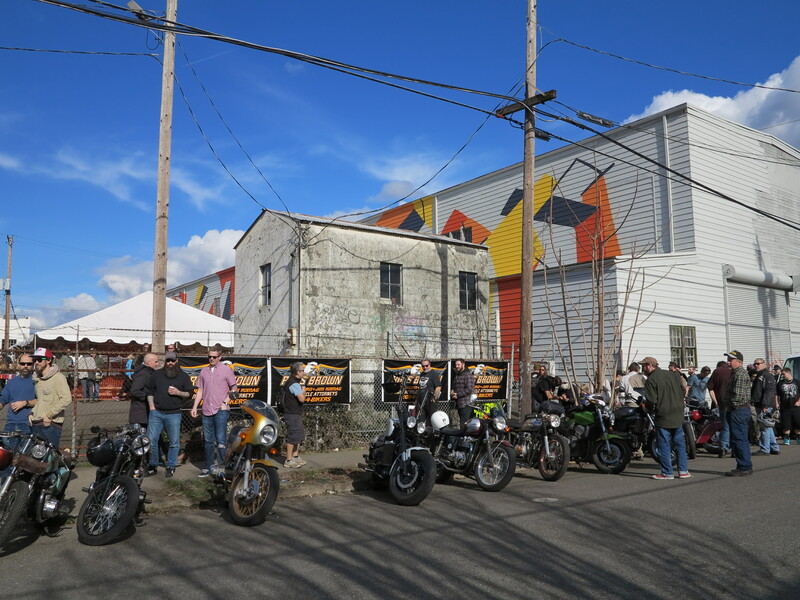 It was a 20,000 sq ft historic building on the lower east side industrial area of Portland. I don’t know what manufacturing took place in that building or when its operations stopped, some of the old machinery, however, was left behind when operations ceased. 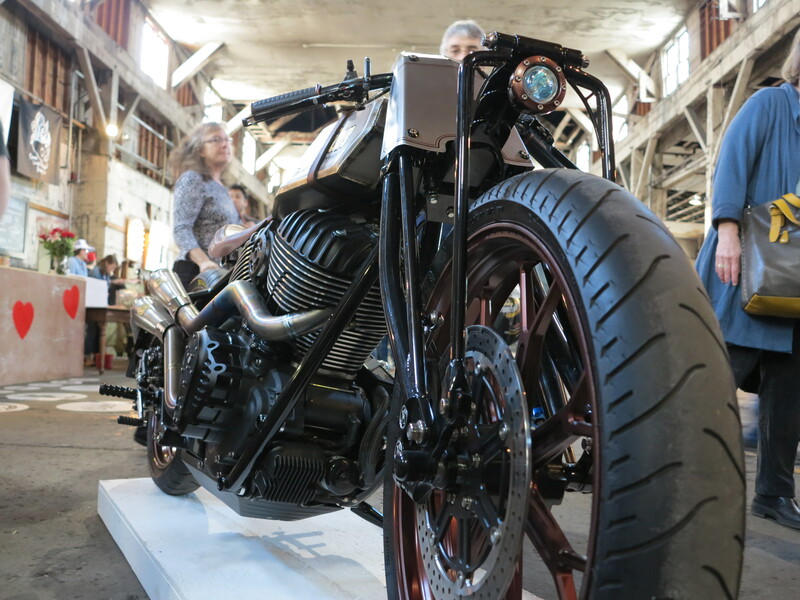 It made for a perfect setting to frame the beautiful motorcycle creations being exhibited. I don’t think I can fairly categorize the bikes displayed. 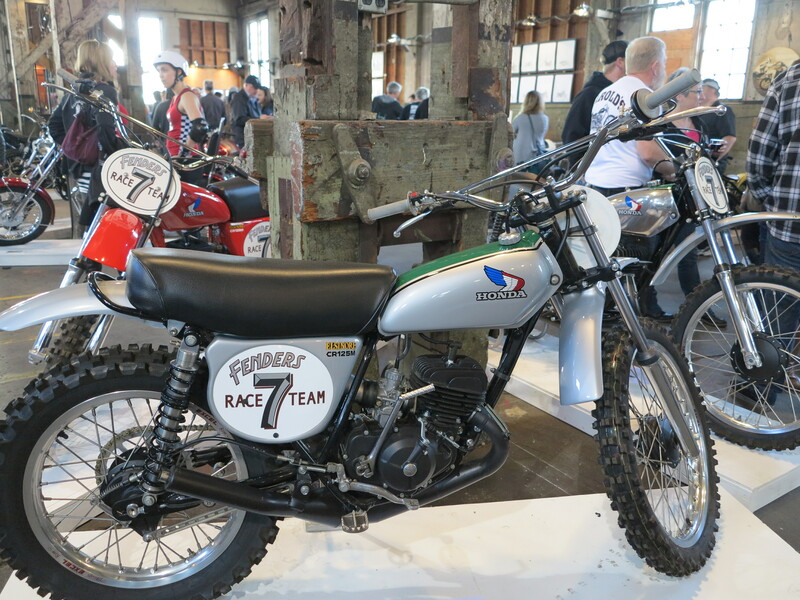 Walking around the exhibit I found heavily modified cruisers, scramblers of all kinds, flat track bikes, cafe racers and everything in between, and some very out of the ordinary bikes, side by side with some true to detail restorations. I’m sure my descriptions would not do justice to what these guys with an artistic mind and great fabrication skills have created. I will let the photos tell the story as much as is possible.
. Check this trio of Honda Elsinores. Two 125’s and the one on the right is a 250. As you can imagine, this is a very small sample of what was available in this year’s event. 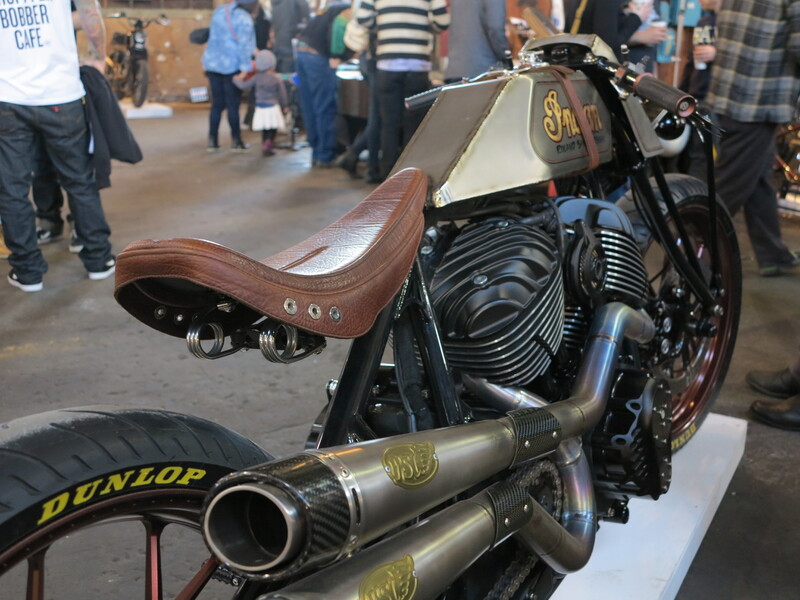 Among the exhibitors, the event included examples from well established designers such as this Indian by Roland Sands. And this BMW by Spirit Lake Cycles. This doesn’t stop at a particular year. People are expanding their range: you see a lot of late model customs inspiring vintage customs, and vice-versa. Yes, it is a 2015 BMW RnineT on the background. 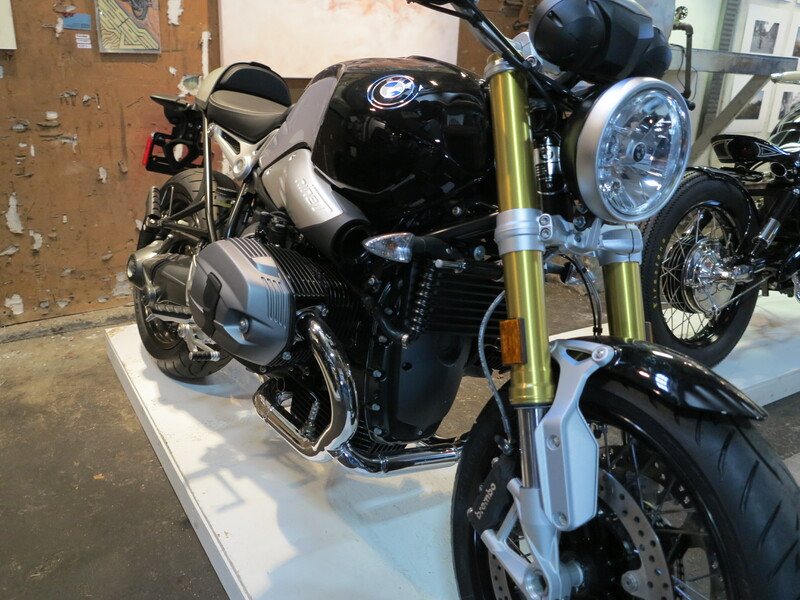 The RnineT is a recent creation by BMW, I consider it a compliment to the artistic minds of the many riders across the world who have put their artistic minds and fabrication skills into make something beautiful out of old motorcycles. It is a compliment when BMW get its interest in the idea and comes up with its own creation of what a new bike would look today based on old and traditional concepts. This takes me to the other reason to my drive to Portland. 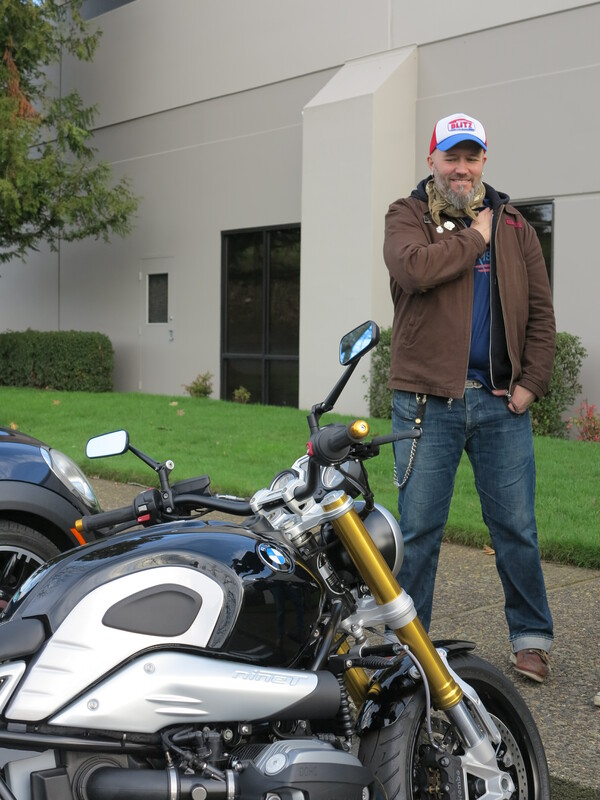 It was to include a stop at the BMW of Western Oregon in Tigard where I had a chance to meet and spend time with the great Ola Stenegärd, the head of BMW Motorrad vehicle design and the creative mind behind the RnineT design. 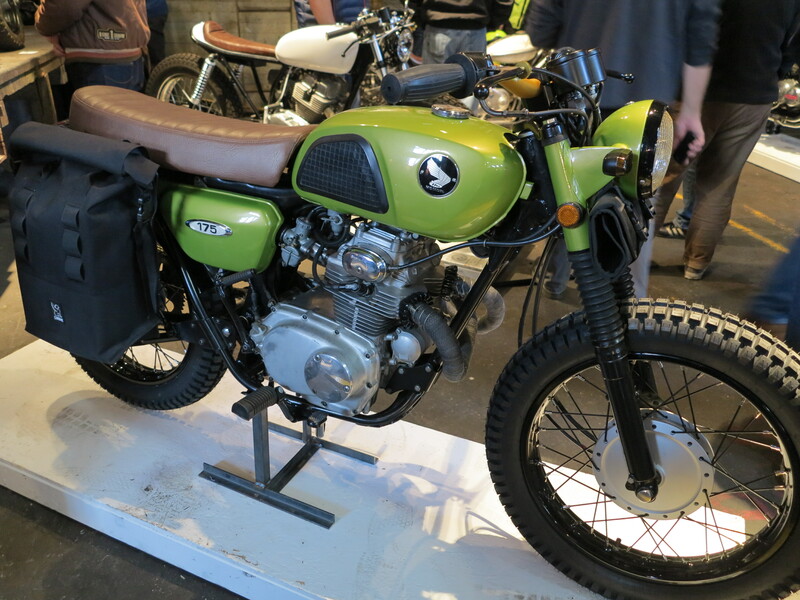 Ola came to attend the One Moto Show and included a visit to the Portland area BMW dealer. What a nice down to earth guy. Ola’s creation has proven to be a very successful model in BMW’s line up. I will have more about this motorcycle on a next post, when I will describe my experience after I spent some time with this motorcycle, riding it on the nice roads of the wine country in the south end of the Willamette valley. All in all, it was a nice trip to Portland. I really enjoyed seeing the nice motorcycles in the exhibit and getting to know a bit more about the RnineT from its designer. 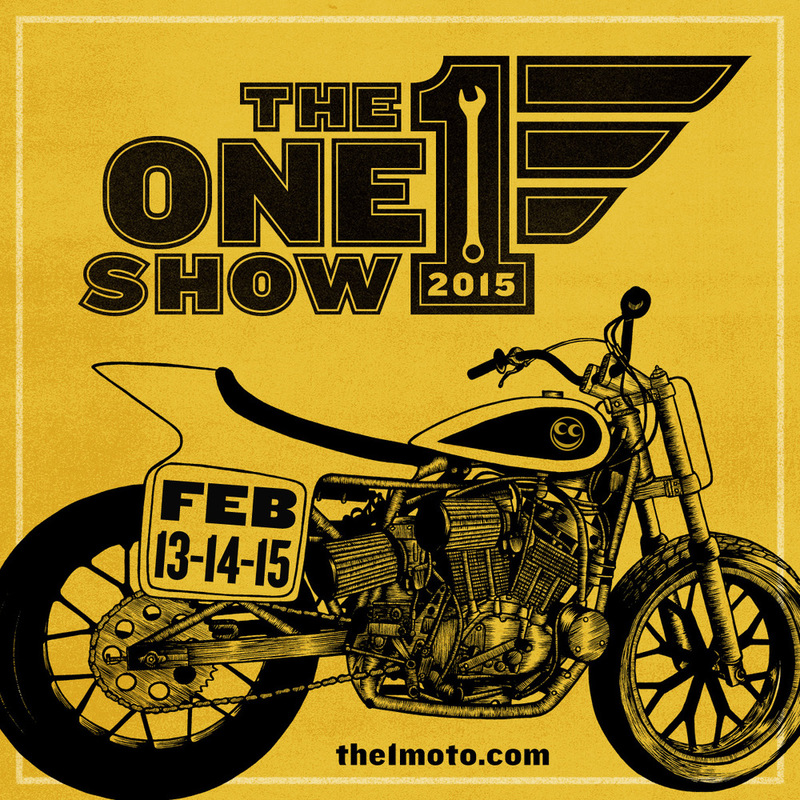 I’m already looking forward to next year’s edition of the One Moto Show. This entry was posted in Bike Reviews and tagged BMW RnineT, Ola Stenegard, RnineT, The One Moto Show. Bookmark the permalink. We too were at the One Show this year. Great pictures. I am impressed you could get close enough with all those people. Nicely done. Hi there, long time no see! And thank you! Yes the show was crowded and took me a while to get shots that were somewhat clear of all those people.